Lakeshore + Acreage + Income = Your new Best Investment! The 27+ acreage with sprawling shoreline and south facing views over Sand Hill Lake is one of the most diverse properties imaginable. 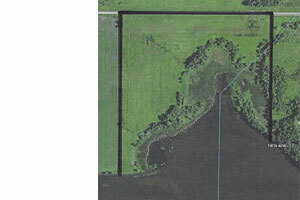 17.4 acres are currently in CRP providing great income while you enjoy the balance of woods and wildlife wetland areas, which provide excellent hunting and recreational opportunities. Invest now and own the development potential for the future! Call today.